Can I Get Medical Treatment for Workers Compensation Foot and Ankle Injuries? Getting the right medical treatment after a foot and ankle injury is important. Ongoing foot and ankle problems make it difficult to work at jobs that require standing, walking, driving, balancing, and climbing. Getting the right medical treatment may also be difficult. While there are many doctors who specialize in back, neck, knee, and shoulder injuries, fewer doctors seem to specialize in treatment of the foot and ankle. What type of doctors treat foot and ankle injuries? While many different types of doctors will treat foot and ankle injuries, you will probably end up seeing one of two type of specialists if you have a foot or ankle injury. One type of specialist is an orthopedic specialist. An orthopedic specialist is a medical doctor who treats the muscoskeletal system. This means an orthopedist treats bone, tendons, joints, ligaments, muscles, nerves, and skin. Some orthopedic specialists are generally orthopedics who will treat the muscoskeletal system in any part of your body. Other orthopedic specialists focus on particular parts of your body. 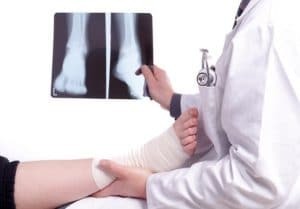 In worker compensation cases involving severe foot and ankle injuries, my clients often treat with an orthopedist who specializes in treating feet and ankles. Another type of medical professional who treats foot and ankle injuries is a podiatrist. Podiatrists specialize in treatment of the feet and ankles as well. Their training is similar to medical doctors but somewhat different. They receive a Doctor of Podiatric Medicine (D.P.M.) instead of a Doctor of Medicine (M.D.). 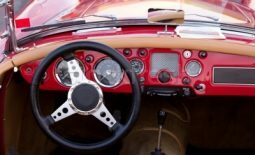 Can I pick my Georgia workers compensation doctor? Georgia law does allow you to choose a doctor to treat your injury, but your choices probably will be limited. In most cases, your employer should have a list of workers compensation doctors posted called the “panel of physicians”. This list should contain the names of at least six different doctors. At least one of the doctors on the list should be an orthopedic surgeon. Because the employer is only required to have six doctors on the list, there often will not be a foot and ankle specialist on the list. This means that you may have to pick a doctor off the list and then have that doctor refer you to a foot and ankle specialist. Georgia workers compensation law has specific rules about when the insurance company has to pay for referrals to other doctors. Because you will likely need to get a referral to a foot and ankle specialist, it is very important to understand these rules. Does workers compensation pay for foot or ankle surgery? Generally, the workers compensation insurance company has to pay for medical treatment that you need as a result of your injury at work. This means that they could have to pay for surgery if you need that surgery as a result of your injury. It is important to understand that the surgery has to be performed by an authorized doctor. “Authorized” has a special meaning under Georgia’s workers compensation law. It refers to your authorized treating physician or a doctor to whom your authorized treating physician has referred you. Are there limits on what medical treatment I can get? 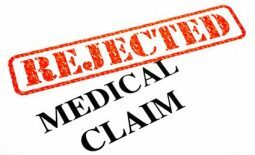 In order to make the insurance company pay for medical treatment, the medical treatment must be related to your injury. If the doctor says that the need for your medical treatment was not caused by your injury, then it will probably be difficult to get workers compensation to pay for that treatment. It is possible to get a second opinion about whether your medical treatment is related to your injury. This second opinion could help you prove that the workers compensation insurance company needs to pay for the medical treatment. This generally means that you have to have the treatment performed by your authorized treating physician or someone to whom your authorized treating physician has referred you. If you have treatment with an unauthorized doctor, the workers compensation insurance company will probably not pay for that treatment. This limit applies to cases where the date of injury is after June 30, 2013. If you were injured before July 1, 2013, you do not have a 400 week limit on your medical treatment. But, there could still be other deadlines that apply. If you were injured after June 30, 2013, you need to know about the 400 week limit on medical treatment. It means that the insurance company does not have to pay for medical treatment that occurs more than 400 weeks after you injury (unless your case is designated catastrophic). Please get answers to your questions if you have them. The biggest mistake that I see people make in workers compensation choices is not getting answers. Failing to get answers to their questions often causes them to make bad choices and miss deadlines. If you have questions, I would recommend scheduling a consultation with a workers compensation attorney. I provide free consultations in workers compensation cases so you can get answers to your questions without having to worry about the cost. This article explains how our free consultation process works. If you would like to set up a free consultation, it is easy to do. Just call our office at (770) 214-8885 or complete and submit the free consultation request form.